Davis Park is adjacent to Prather Park and is located at 4500 Drexel Avenue. 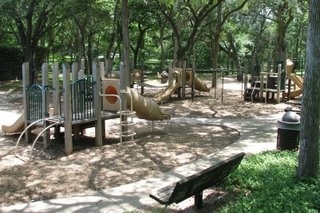 This scenic park winds along Hackberry Creek and is home to the Highland Park Swimming Pool. There is a great children's playground and a tennis court. There are numerous benches and paths along the creek for a leisurely stroll.